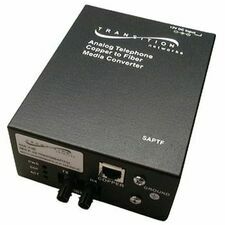 Transition's AC powered PoE media converter combines data received over a fiber optic link with - 48VDC power; providing power to Data Terminal Equipment (DTE) Power Devices (PD)over unshielded twisted pair cable. 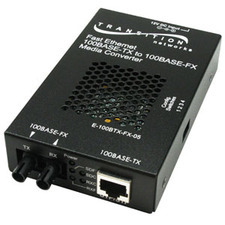 The PoE converter is a Power Sourcing Equipment (PSE) and is fully compatible with Powered Devices (PD) that comply with the IEEE802.3af: 2003 standard. 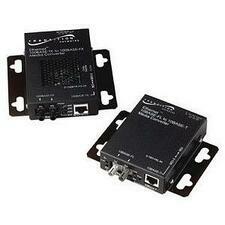 The converter also includes a PD signature sensing and power monitoring features per the IEEE 802.3af standard. 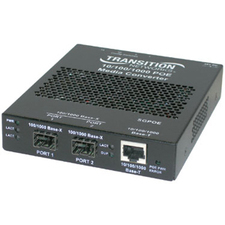 Other features include Over-Current Protection, Under-Current Detection and Fault Protection Input.